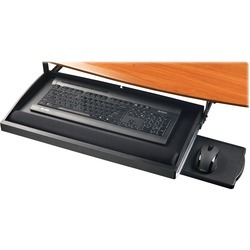 Rectangular desk shell is part of Lorell Essentials Series Laminate Furniture with high-quality laminate construction and metal-to-metal cam-lock connections. 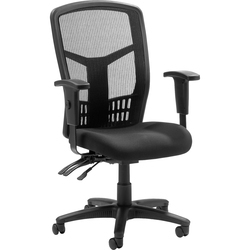 High pressure laminate top is 1" thick for durability. Use the two grommet holes in the top for easy cord routing. 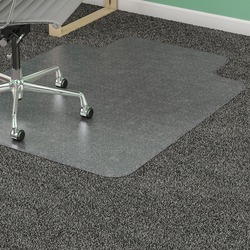 Design also includes a full modesty panel for privacy, 3mm PVC edges and adjustable feet. Hanging Pedestal includes one box drawer and one file drawer that accommodates letter-size and legal-size files with included hangrails. Mobile Pedestal includes 2 box drawers for smaller items and one file drawer that accommodates letter-size and legal-size files with included hangrails. All drawers offer full extension and roll smoothly on steel ball bearings. Predrilled holes with metal inserts offer easy attachment by screws. 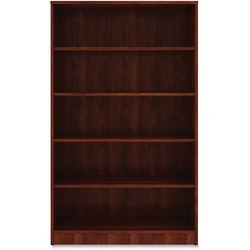 Available in Walnut as shown as well as Cherry & Mahogany. 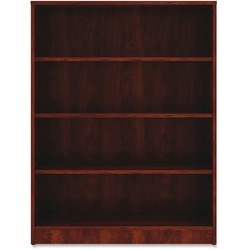 Bookcases LLR99788 or LLR99785 can be added or substituted for mobile drawer unit. 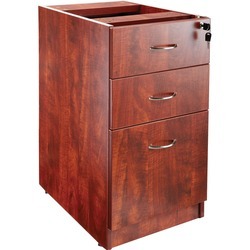 A different arrangement of drawers is available for fixed unit to include 3 drawers such as LLR69604. 1488 points will be rewarded to you when you buy this item. 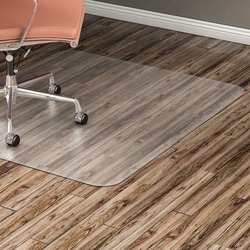 LORELL PlushMat Chair Mat Wide 46" x 60" Lip 25" x 12"
LORELL Nonstudded Design Hardwood Surface Chairmat Rectangular 36" x 48"
Copyright Calgary Business Supply. All Rights Reserved. eCommerce Software by 3dcart.